So this week I was back at the Children's Museum. Working with the same people for the past two weeks at Children's Museum has brought us closer as a group. I am able to crack jokes with fellow JPA's Albert and Carrie and our SHE Erin. This week we had a very enthusiastic group of girls from the YMCA come by. They were gathered around one of the crab traps excited to see what was at the end of the long rope. We pulled it up and there were no crabs but they were excited to hold the squid bait (which I don't think they knew was no longer alive). 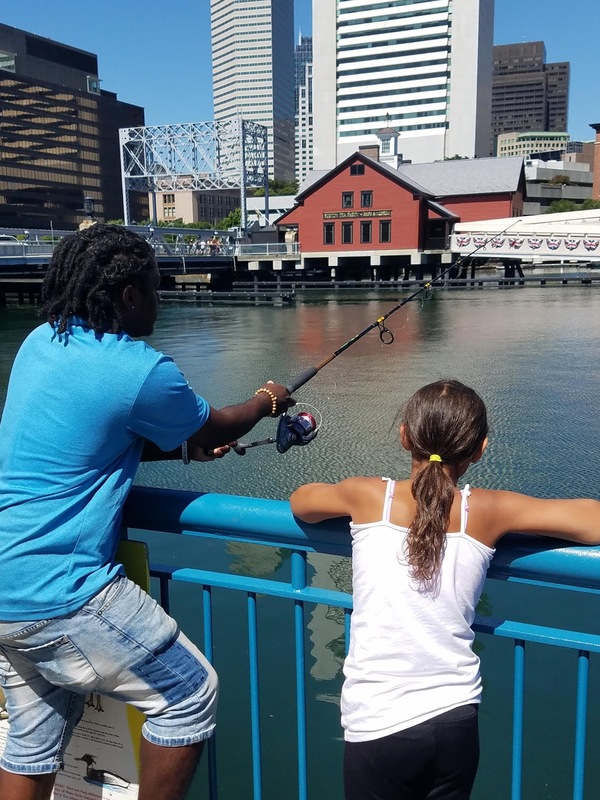 After that they went to enjoy a dance class but came running back immediately for a chance to go fishing with our rods. Several of the girls caught green crabs and were excited to see them in the touch tank. If we had not have been going to lunch I doubt they would have ever left! 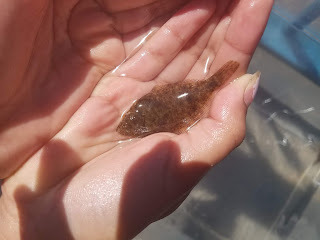 Towards the end of the week we managed to catch two baby flounder which resulted in a heated debate between Erin and I about whether or not flounder are the ugliest fish around. I will FOREVER believe that flounder are the ugliest fish I have ever seen. I've never been more sure about anything else in my life. But Erin insists they are cute so this debate may go on for a long while! This week we also manged to catch two more spider crabs although they were smaller than the one we caught the first week of fishing outside of the Children's Museum. Overall it was a really exciting week and I look forward to more children museum adventures! One of the baby flounder we caught!